Are these the taillights of the 2014 Chevrolet Camaro? 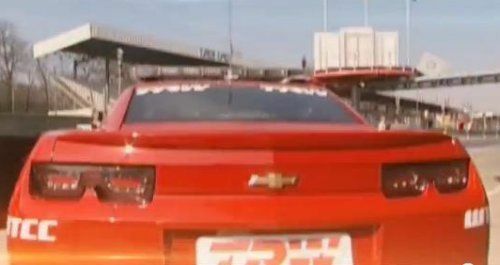 These unique taillights on the Chevrolet Camaro WTCC safety car could show the first real exterior change to the American performance car. The back end of the standard production Chevrolet Camaro SS.